Alex Payne and Carolyn Quitno participate in the 'make a friend' ball pit to kick off the I Choose Kindness anti-bullying campaign. 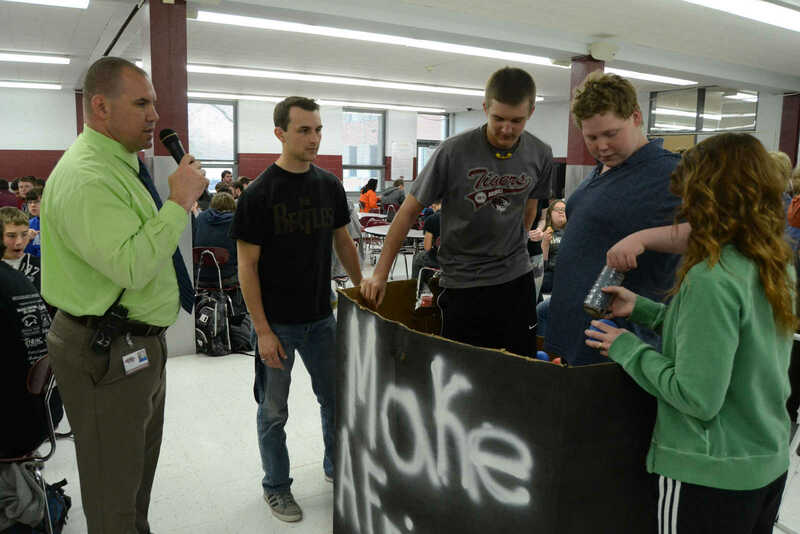 Brett Scott and Thomas James participate in the 'make a friend' ball pit with the help of Nick Geeding, left, and Gabby Gire, right, as Geoff Stewart officiates. 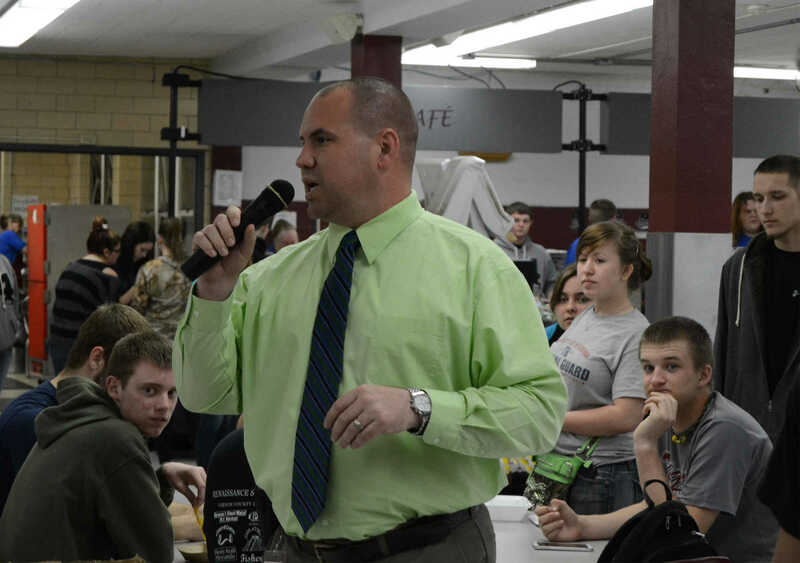 Geoff Stewart hosts the 'make the friend' ball pit during the I Choose Kindness anti-bullying campaign. 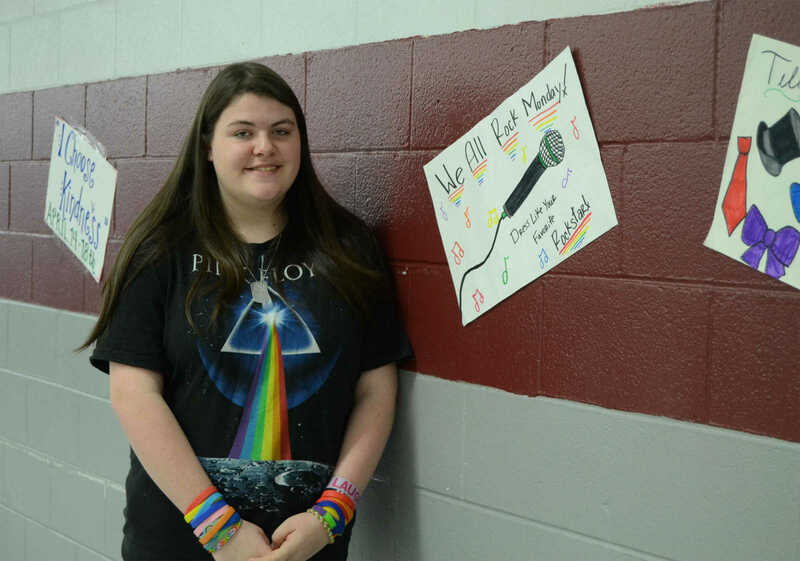 Minnie Goodbody stands next to her artwork promoting the I Choose Kindness anti-bullying campaign. 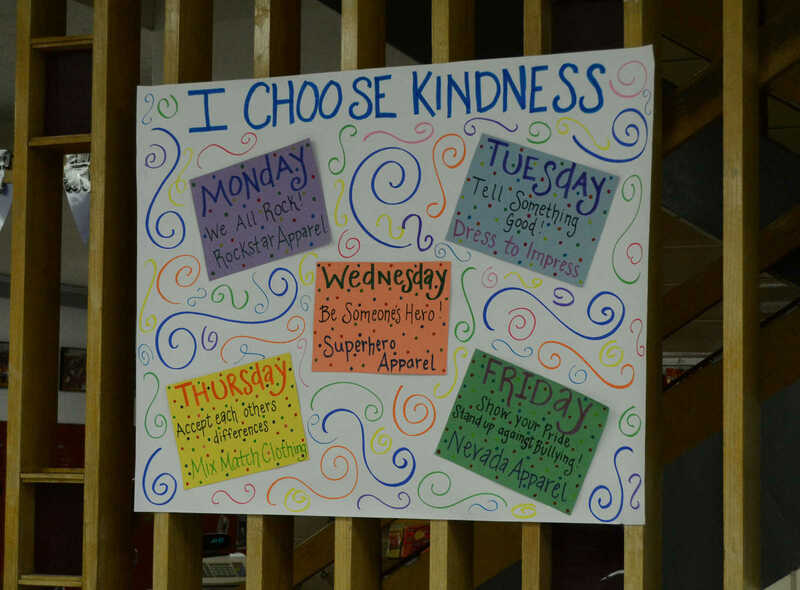 A poster hangs at the high school promoting I Choose Kindness anti-bullying campaign.